I love my slow cooker for one thing: golden bone broth or stock made with a chicken carcass and veggie scraps. I keep wanting to find other things that are equally good, but the slow cooker chili and bean soup recipes don’t appeal at all. 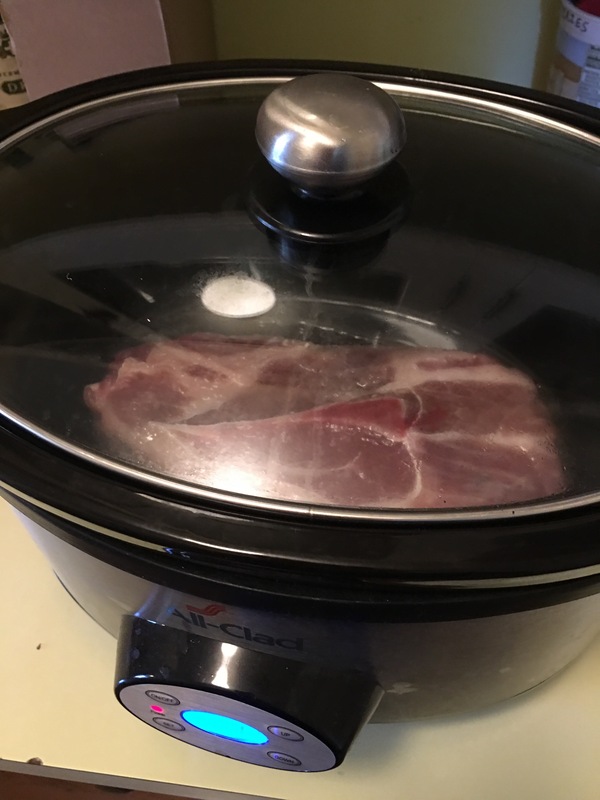 When I saw this Momofuku Pork recipe, I realized right away it could be adapted to the slow cooker. 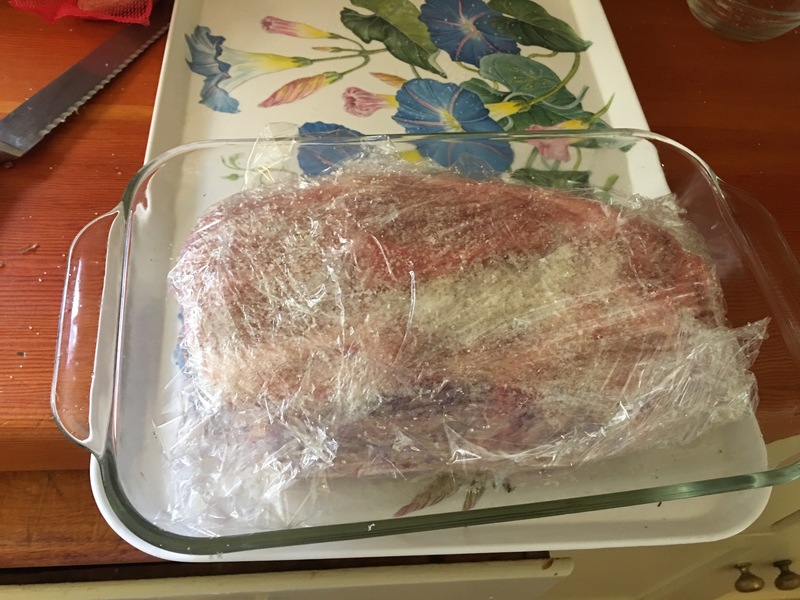 The result was, according to my eldest daughter, “the best pork I’ve ever had!” We had it plain with sides of asparagus and green beans, but it would be great on a chopped salad, in a wrap, tossed into soup…the only mistake I made was not getting a big enough piece of meat! 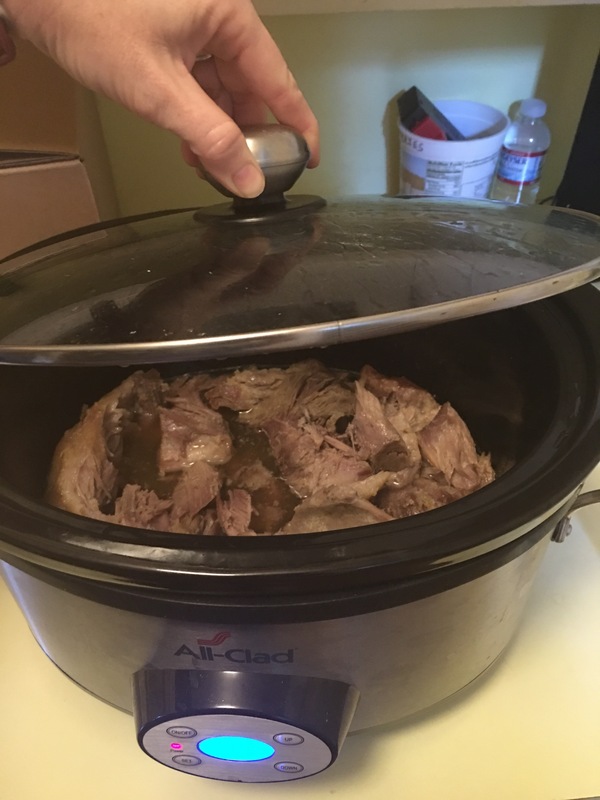 While still in slow cooker, use two forks to gently shred meat. Cover and reset to high for an additional hour to cook down juices and carmelize the meat a bit(you can also spread out on a pan and broil for 15 minutes for color). Devour!